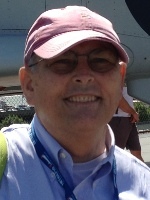 DELMAR – Brian J. O’Donnell, Esq., 67, of Delmar, passed away peacefully on Monday, October 6, 2014, with his family by his side. Brian was born in Albany, the son of the late Harold Daniel O’Donnell and Margaret Veronica Crowley O’Donnell. He was raised in Schenectady, and he lived for a time in the Bronx, but lived most of his life in Albany and Delmar. Brian was a graduate of Fordham University, and served in the U.S. Army with the 1st Battalion 64th Armor Division in Germany, completing his service and reserve service as a Captain. He was also a graduate of Albany Law School, and was a partner in several area law firms, most recently Hite, O’Donnell, and Beaumont, PC. He also was employed for the past eight years by the Litigation Bureau of the New York State Attorney General’s Office. Brian was a communicant of the Parish of Mater Christi in Albany, and Blessed Sacrament Church in Bolton Landing. He enjoyed sailing J24’s, and was a member of the Lake George Club and the Corinthian Club. He also enjoyed playing squash, ice skating, and was a talented ice dancer. Brian liked to say that the blessings brought to him by his family and friends provided him with an embarrassment of riches. Brian is survived by his beloved wife Patricia M. Barlette O’Donnell; his daughter Moira Caitlin O’Donnell; his sister Catherine O’Connor (Gary) of Scotia; his brother David E. O’Donnell (Bea) of Cookeville, TN; his nieces and nephews Brendan O’Connor (Jennifer), Meghan Figueroa (William), Kieran O’Connor (Zyra), Mairin O’Connor, Veronica Lansing (James), and Sean O’Donnell (Shannon); and by the Lone Tree family on Lake George. Funeral services will be held in the Hans Funeral Home, 1088 Western Ave., Albany, Friday morning at 8:30, and from there to the Parish of Mater Christi at 9:30. Relatives and friends are invited, and may call at the funeral home Thursday from 4-8 p.m. Interment will be in St. Joseph’s Cemetery, Schenectady. The family suggests memorial contributions to The Leukemia & Lymphoma Society, Upstate New York/Vermont, 5 Computer Drive West Suite 100, Albany, NY 12205; or to St. Peter’s Hospital Foundation, 319 S Manning Blvd #114, Albany, NY 12208. To leave a message of condolence for the family, or obtain directions to the funeral home, please visit www.HansFuneralHome.com. Offer Condolence for the family of Brian J. O’Donnell, Esq. I was deeply saddened by hearing that Brian’s illness finally took him from us, and dreadfully sorry for your loss and ours. Pat Nicholas, who rented Lake House this past summer and last, wrote to tell me on Monday. The lake community won’t be the same without his smiling face and his devotion to sailing and Lake George. I always knew that his tenacity in holding on to life for so long had its foundation in your love for him and his for you and the strength you gave him to fight. I hope you will take comfort in knowing the years with you both gave him a wonderful life. Please accept my sincere condolences at this very difficult time. We were very sorry to hear about Brian. It was such a pleasure to get the chance to see Brian and you at the reunion this past spring and reminisce about happier days. He will be sorely missed. rest easy Brian my friend. Sorry we didn’t get around to clearing away your extra pine trees. Brian offered me sage and important health advice once when I needed it, and was always a warm friend at the sailing gatherings where we met. I’ll always remember him as a good and generous soul, one who suffered and carried on anyway. I’ll miss him. We have found out the terrible news about BRIAN and it was a shock for us . We knew through informations he sent sometimes by email that the illness recurs but we didn’t think that his health was so deteriorate. We didn’t have a lot of physical contact but we keep from BRIAN an image of a jovial man. We appreciate every year to receive a letter with his best wishes and it was a great pleasure through this letter to follow the main things happened during the past year. We will pray for him and we will be with you by thought Friday morning. We are with you and we wish you courage during this difficult period . We are so so sad. Our condolences to Patty and Moira. Our hearts are filled with wonderful memories with at Brian at LGC, Lone Tree and the “M” jacket, and as crew on “Spirit”. He will be missed. My prayers and thoughts are with you during this very difficult time. Patty and Mora I just learned from Doris Ramirez Romero of Brian’s passing. I know it has been a long time since I do not communicate with you but my thoughts and prayers are with both of you. If I ever can be of any help to you please do not hesitate to contact me. I never said this but thank you for caring for Gina. Patti, so sorry to hear of. Brian’s passing. Our prayers are with you.